The story is told that Columbine flowers sprang up under Mary’s shoes when she went to visit her cousin Elizabeth. The flowers are called “Mary’s Shoes” or “Mary’s Slippers” because of this tale. Legend tells us that the star that led the three wise men to Bethlehem stopped at its destination and burst into thousands of fragments, which turned to flowers when they touched the earth. 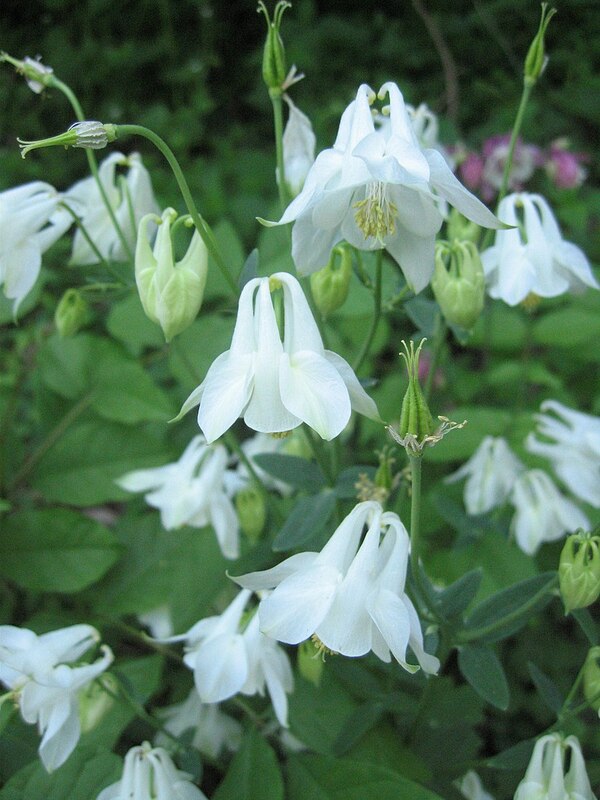 The petals of columbine flowers are said to resemble doves, representing the Holy Spirit. Jesus performed His first miracle at the Wedding at Cana, turning water into wine. 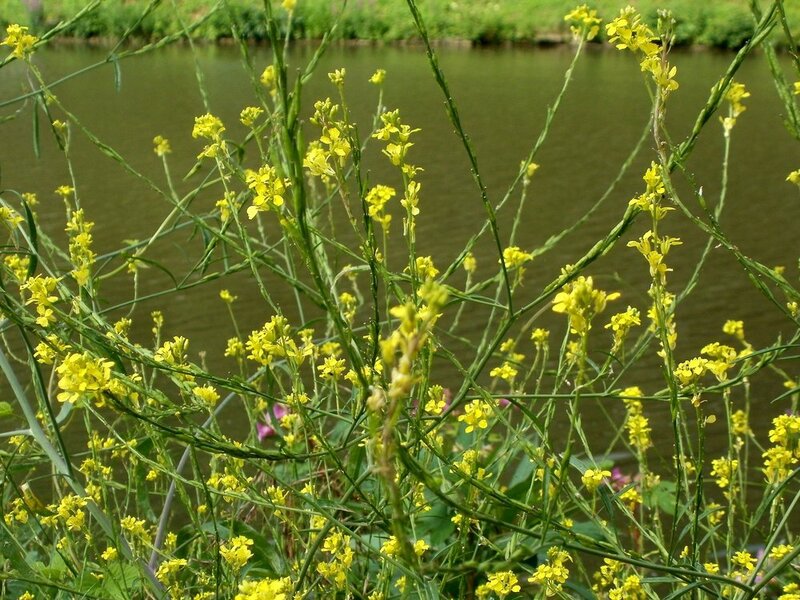 The tall mustard plant, which grows from a tiny seed, is a symbol of the Kingdom of Heaven. Imagine the radiance that surrounded Jesus when He was transfigured on that mountain, appearing with Moses and Elijah! Goldenrod is also known as “Heavenly Radiance” and is traditionally associated with this mystery. 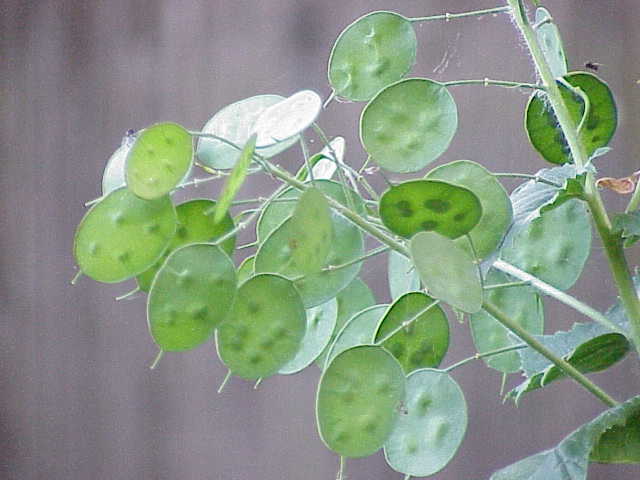 The seed pods of the Money Plant are symbolic of the Eucharist. 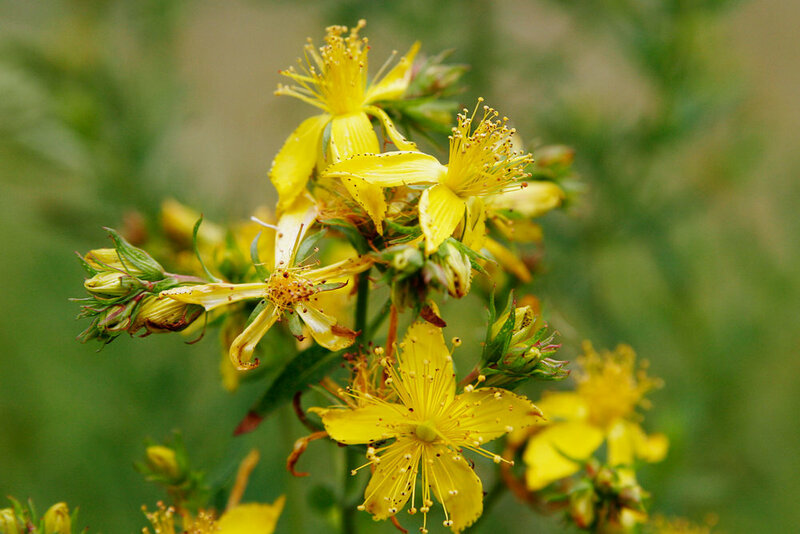 The red dots on the St. John’s Wort flowers symbolize Christ’s bloody sweat, which He experienced while praying in the garden at Gethsemane. The flat, red clusters of Yarrow flowers symbolize the bloody lashes on Christ’s back after His scourging at the pillar. These thorny stems might be as prickly as the crown of thorns that was put on Jesus’ head before He was crucified. Jesus fell--three times--while carrying the cross. The Tigridia flower resembles a knee with a bloody wound, much like Christ’s knees might have looked while carrying the cross. 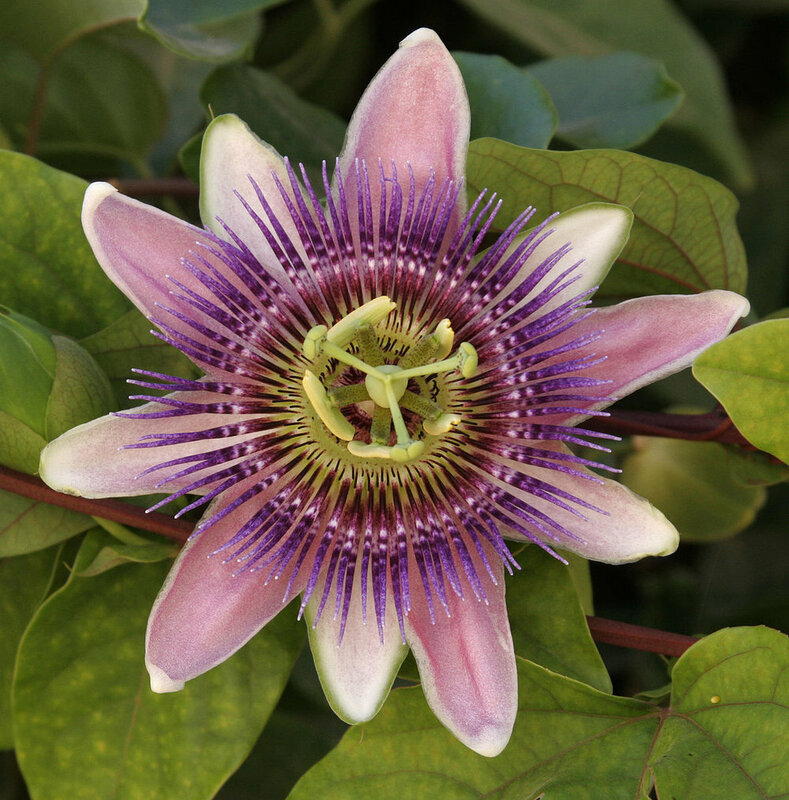 The Passion Flower represents Christ’s scourging, crowning with thorns, and the crucifixion. Each different part of the plant has different symbolism and significance--find a full list here and see if you can identify the different parts of the flower. The Easter Lily lies dormant all winter, bursting into bloom during the summer when the weather is warm. Jesus didn't climb a ladder to get to Heaven, but the way this flower points straight up to Heaven makes us think of His Ascension. If you look inside this special flower, you can see a dove when it begins to bloom. The Holy Spirit is often represented by a dove in Scripture. 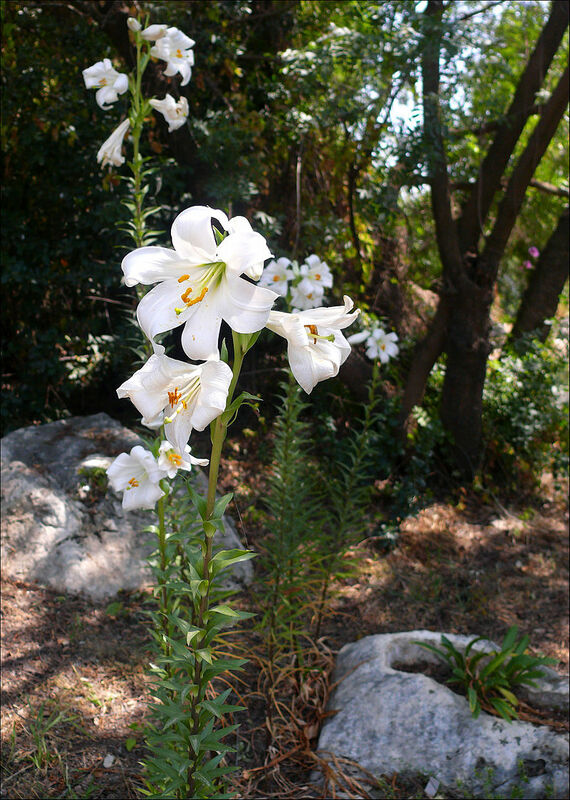 The white lily represents the purity of Our Lady, who was taken to Heaven, body and soul, to be with her Son. After a heavenly vision, Saint Hildegard dedicated the Calendula to Mary, naming it “Mary’s Gold” -- the original Marigold!